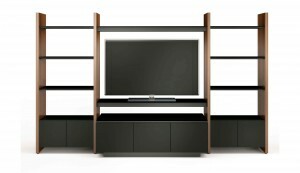 Corridor 8172 audio tower provides customizable storage for AV components, media, a turntable and/or LP’s. 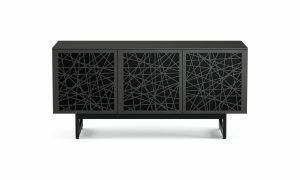 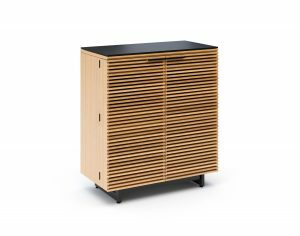 The hardwood louvered door can be mounted to open from the right or the left to reveal a dedicated media shelf and two dual depth compartments. 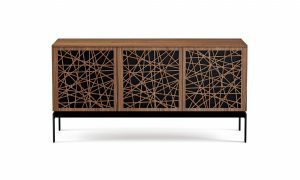 The top glass surface conceals a power strip compartment and is the ideal home for a turntable. 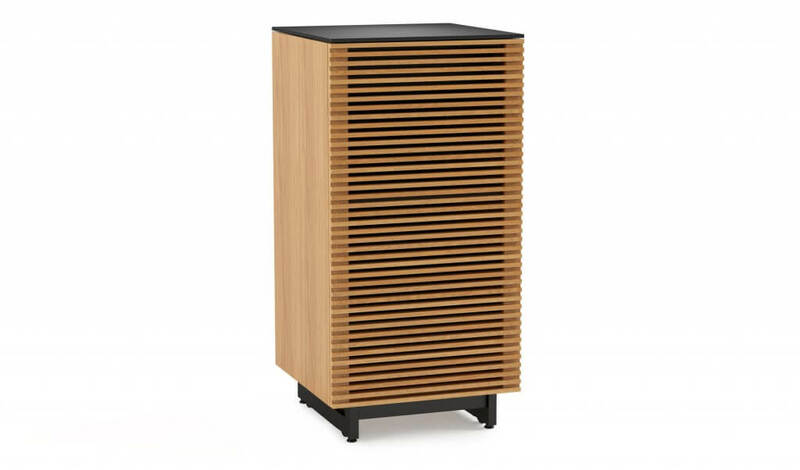 Easily removable back panels make wiring simple while ample ventilation allows your components to breathe.